“Ben Ali’s feminism was of an unbearable violence,” Raja Ben Slama, a professor of psychoanalysis at the University of Manouba and a prominent feminist intellectual, told me. 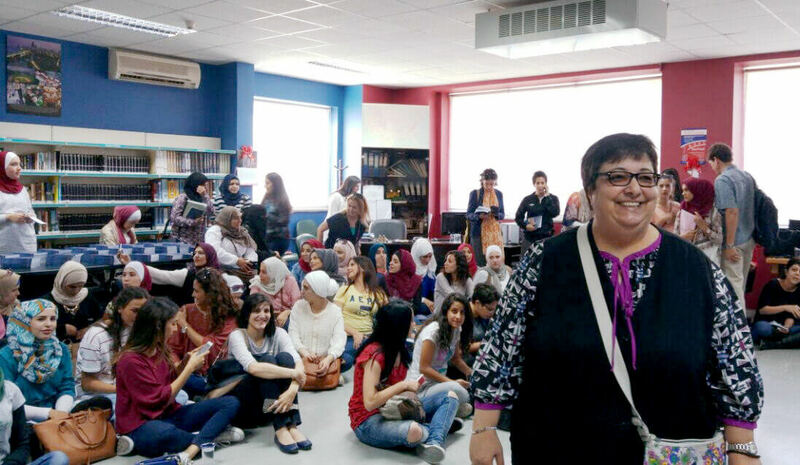 I met Ben Slama in her office in Tunisia’s National Library; she was appointed its director in 2015. Several of the feminist scholars I met noted that the former regime created two categories of women: those who supported it and enjoyed rights, and those who opposed it. “Tunisia may have been the ‘best’ country in the Arab world in terms of women’s rights,” Ibtihel Abdellatif, who is a commissioner in Tunisia’s Truth and Dignity commission, and whose portfolio there focuses on human-rights violations against women, told me. “But not all women could avail themselves of these rights.” As testimony gathered by the commission has shown, women who were not viewed as politically loyal to the regime faced terrible repression. 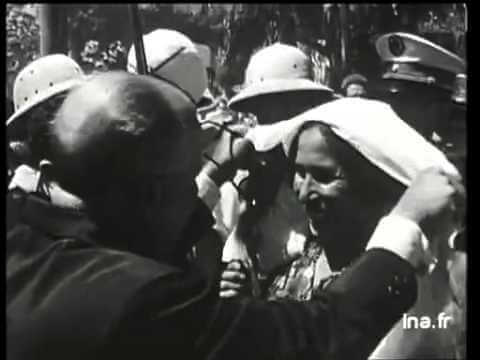 Tunisia’s reputation as a pioneer for women’s rights dates back to its first president, Habib Bourguiba, who passed a new personal-status code in 1956, just three months after independence. It abolished polygamy and replaced repudiation (an informal quick divorce in which a husband only has to say “I divorce you”) with civil divorce that either a man or a woman could initiate. In the 1960s, the state protected women’s right to work, travel and own their own business, and it actively encouraged family planning. Bourguiba dismissed the veil as a “wretched rag” and was filmed removing women’s veils on national television. For Bourguiba, promoting women’s rights was part of a modernist project of development and anti-colonialism. As I’ve written elsewhere, Bourguiba’s legacy remains an extremely divisive issue in Tunisia to this day. The president’s reform of the personal-status law “turned society upside down,” said Ben Slama. While many Islamists still despise him, “he is venerated by women of my mother’s generation,” she told me. 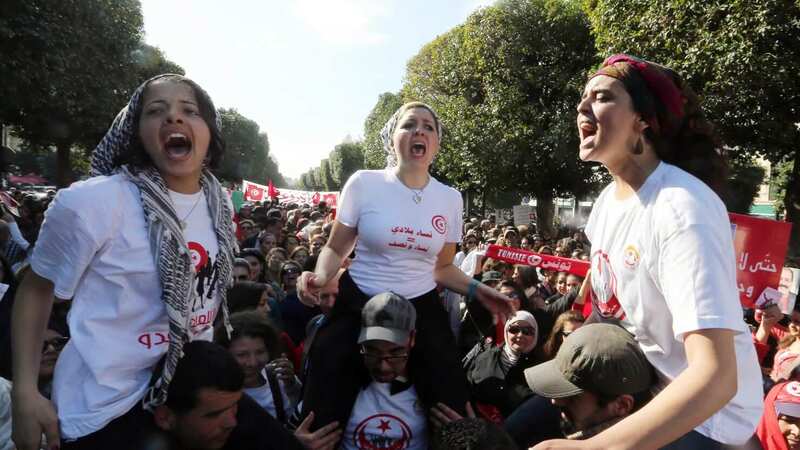 “We all know what’s wrong with state feminism,” says Hind Ahmed Zaki, a researcher who is finishing her doctorate at University of Washington on feminist mobilization in Tunisia and Egypt. The top-down approach emphasizes formal and legal advances but often disregards social realities such as domestic violence and economic inequality; it gives little space to independent women’s associations; and it often uses women’s rights as a form of state propaganda, a way to deflect criticism of its human-rights record. This has been the case in many Arab countries, such as Egypt and Syria. After the uprising, the once-banned moderate Islamist party Ennahda won a majority of seats in the country’s constituent assembly. Yet after heated debate, the constitution ended up containing no reference to Sharia and enshrined the “equality,” rather than “complementarity,” (a term Islamists had proposed) of men and women. “There has been no regression in women’s rights,” said Ben Slama, noting that Tunisia lifted its reservation to the CEDAW (the United Nations Convention adopted in 1979 on ending discrimination against women) and passed an electoral law, aimed at achieving complete parity between men and women in elected bodies, that requires political parties to run as many female as male candidates. The Ennahda party voted for this law, and among the 34 percent of female parliamentarians in Tunisia today, the highest number represent the Islamist party. Tunisia has also maintained its personal-status law. According to Tunisian historian Sophie Bessis, in the 1980s and 1990s, as the Islamist movement gained momentum, the law became a “red line” dividing “modernizers” from “reactionaries.” So did wearing the veil, which was outlawed in schools, universities and the public administration in 1981. This ban was most forcefully applied after Ben Ali came to power in 1986 and launched a campaign of repression against Islamists. The president supported women’s formal rights but demanded political loyalty in turn. Female parliamentarians, academics, and heads of government institutions were sent abroad to defend the regime against accusations of authoritarianism and human-rights abuses, writes Sophie Bessis. The virulent divide between secularist and Islamist continued after the uprising; women’s rights and women’s dress was often a flashpoint. After Ben Ali’s ouster, secularists and Islamists engaged in “a battle we’ve ended up winning,” Ben Slama told me. That is true on university campuses as well. Ben Slama’s place of work, the Uni versity of Manouba, witnessed a protracted stand-off, and court battle, between the dean and students who wanted to wear the niqab on campus. The court ultimately ruled in favor of the dean and the school’s policy of demanding that female students keep their faces uncovered. (The niqab, which is practiced in Saudi Arabia, is the most extreme form of veiling; it covers a woman’s face and body from head to toe and is often accompanied by gloves). Yet other women say they were discriminated against for decades simply for wearing a headscarf. As a veiled activist, Abdellatif was prevented from pursuing a graduate degree under Ben Ali. After the uprising, she wrote her doctoral thesis on Islamic feminism, at the historic Islamic University of Zeitouna. Today she heads the women’s committee within the Truth and Dignity Commission, which worked hard to gather women’s testimonies. Women who were the victims of state violence and torture faced the added burden of social stigma; those who testified publicly broke a historic taboo. This is a key argument of Islamic feminists: that Islam itself is not retrograde, but that centuries of misogynist interpretation by male religious scholars has perverted its message. Feminist scholars such as the late Fatema Mernissi and Asma Lamrabet in Morocco or Hatoon Al Fassi from Saudi Arabia have argued that a re-reading of the Koran, stripped of the orthodox interpretations that have been imposed on it, supports women’s rights. This kind of argument has a longer history than one might expect. In Tunisia, I discovered Tahar Haddad, an early-twentieth-century scholar who argued against the veil and polygamy and in favor of women’s equality and education. Haddad, who had a traditional religious education and studied at the Islamic University of El Zeitouna, broke with the religious establishment of the day and argued in his book, “Our Woman in Sharia and Society,” that the Koran had meant to introduce gradual change and should be re-interpreted in light of new social and historical circumstances. Haddad was attacked by religious scholars and social conservatives and died, alone and in exile, at 36. Two decades later, his ideas are believed to have been among the main sources of inspiration for Bourguiba’s progressive personal-status law. Both Ben Slama and Ben Hassine approvingly cited the work of Haddad, yet they dismissed today’s Islamic feminism. But she also told me that through regular meetings, she has been able to gradually build cordial relationships with a number of secular feminists. The focus of these young women’s activism is increasingly the right to privacy, sexuality, bodily integrity, and an end to police brutality.